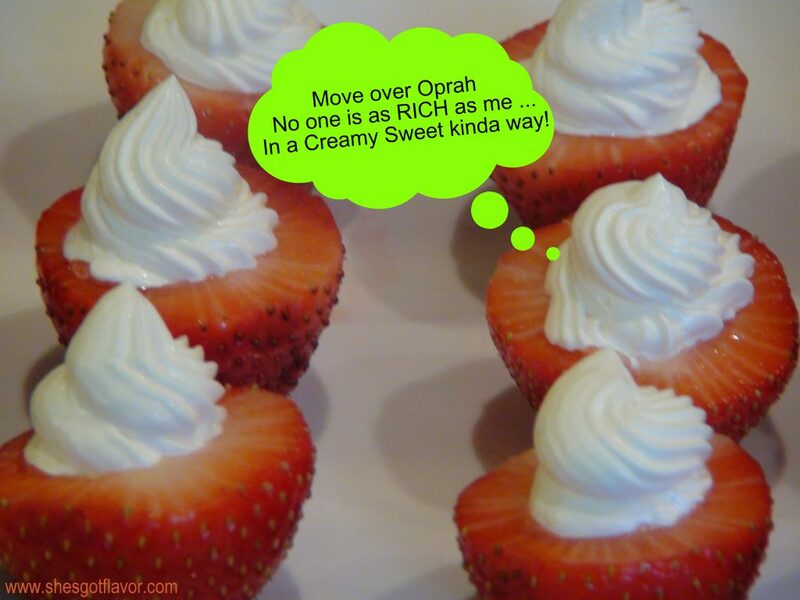 I’ve got strawberries and I’ve got fruit dip but there is NO double dippin here baby! We’re bringing the fruit dip to the strawberry! 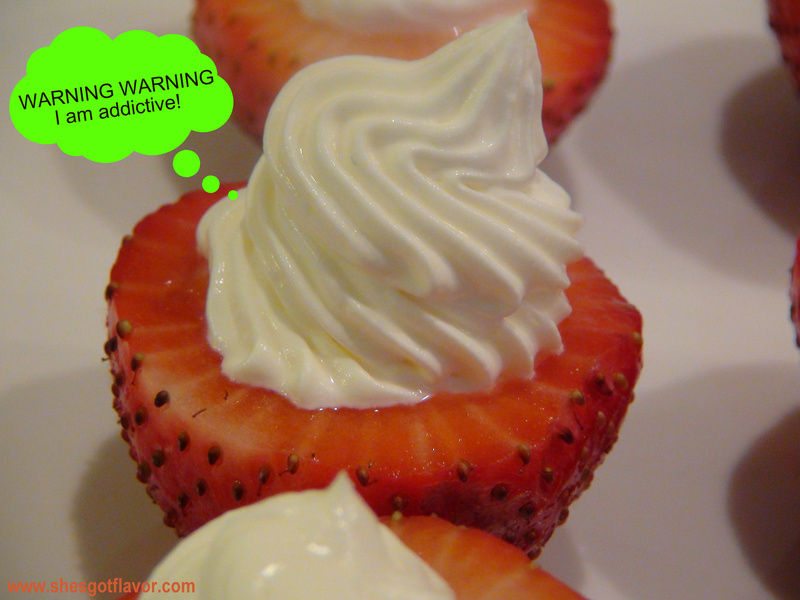 Not only do these strawberrylucious poppers look appetizing, they also taste so freakin frat good that they are addictive! 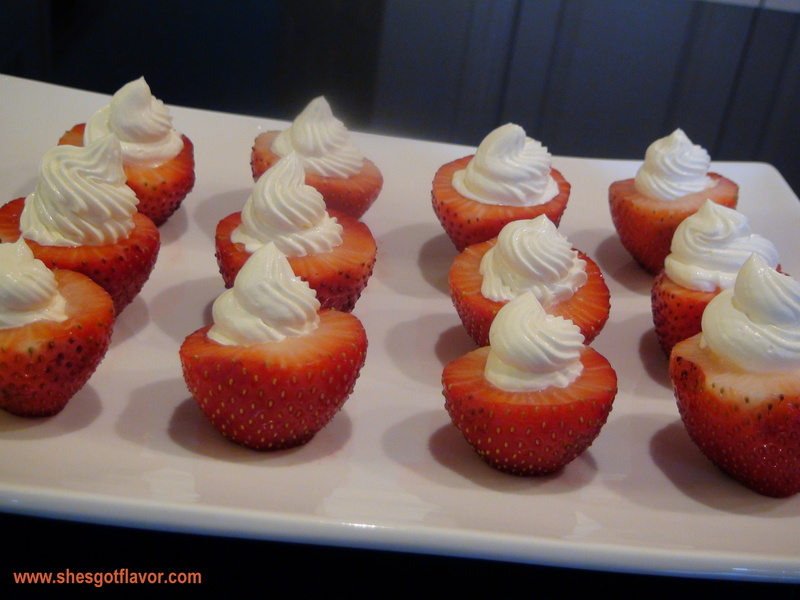 The strawberry is sweet and juicy and the fruit dip is rich, creamy and sweet! The perfect combination for anytime, be it a holiday event, a gathering, a snack or dessert after a good meal, these poppers will always please! You can also make the fruit dip separate and serve with a plain fruit salad for dipping! But I couldn’t resist this beautiful arrangement of strawberry and fruit dip! For the PERFECT POPPER COMPLIMENT try our SWEET POTATO POPPERS! Plate and serve or just pop a few in your mouth!! I’ve had these and they are certainly delicious. Thanks for sharing your recipe. I’ll bookmark these for my next gathering. Urokia’s recipes always “rock”. My daughter enjoys choosing various recipes to cook for her friends. Thanks Utokia for a job well done! Glad to hear Toni, thank you and your daughter for your support. Please visit often. I made these last night, Utokia. DEEELICIOUS!!!! I’ll certainly be back for more recipes. Thanks for sharing your love of cooking. I wonder could you make this recipe, with Greek yogurt to make it healthier.